Construction industry in Pakistan is choke full of so-called professionals. But in this sea of self-claimed pros, barely a few people are actually good at the trade. Buildzup is one of its kind real estate and Construction Company in Lahore. For years, we have been leading authorities in the field of construction and our work is praised and acknowledged by clients all over the city. For us architecture is a belief that our design faculties, our ideas and our abilities to resolve problems, can translate your aspirations and dreams into a reality: a reality that will exceed your expectations. For us architecture is not just about beautiful elevations, but a reflection of dreams, lifestyles and lifelong experiences. Moreover for most people it’s a lifelong investment. And we excel in responding to all these factors in a most artful manner. The architects and Designers at PANDA ESTATE & BUILDERS (Pvt.) Ltd. Design build are well conversant with the local as well as imported materials available to them. They will guide you through the whole selection process for your structure, construction and finishing. We are also very enthusiastic about energy efficient measures built into structures and take into consideration insulation, orientation of buildings as well as thermal conductivity of different materials. The real challenge is always to achieve a cost- benefit balance of these measures, and we try to achieve that in the most efficient way. No matter how big or small your project is, we have the ability to bring your dreams to life. We build houses and buildings as per your expectations and as close as possible to your imaginations. Electrical services must be handled by experts as there can be several risks involved. 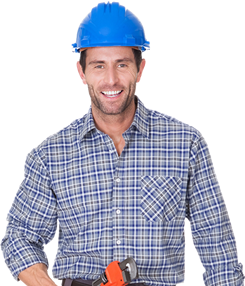 Our technicians have years of experience in installation and maintenance of electrical equipment. Looking to buy, rent or sell property? With a long experience under our belt, we are well-acquainted with real estate laws and best practices. We can help you buy, sell & rent property at the best prices possible. The remodeling pros in our network specialize in all types of home projects such as bathrooms, kitchens, basements, additions, and many other home renovation and home improvement projects.In many cases we can get you multiple renovation estimates to help you find the best deal and save.No project is too big or too small for our network of home specialists. We'll help make the process easy by finding just the right professional for your project.